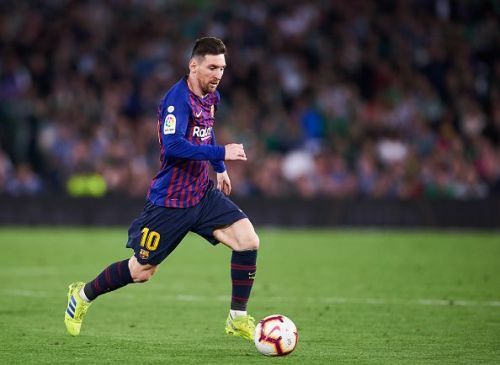 Barcelona claimed a 4-1 win at Real Betis to extend their lead at the top of the La Liga table to 10 points. Real Betis have caused many teams problems this season, and they threatened initially. Then Lionel Messi happened. He blasted in an incredulous free-kick to give his side the lead early on, and Barca did not look back after that. Messi scored his second just before half-time after a sublime pass from Luis Suarez. Suarez got his goal, scoring in the second half after a mazy solo run. Messi had the last laugh though, as he completed his hat-trick with a sumptuous chip over Pau Lopez. Even the Betis fans were applauding the Argentine after his performance, such was the class he exuded. Loren Moron scored in between to make it 3-1, but that goal was nothing more than a consolation. Barcelona are now comfortably ahead in the La Liga table, and they lead Atletico Madrid by 10 points. Betis' hopes of European qualification took a hit, as they stay in eighth place after the loss. Luis Suarez suffered an injury in the dying seconds, which will certainly worry the Barcelona fans. Aside from that minor blip, it was a comfortable victory for the Catalan side. Here are the major talking points from the game. Barcelona played with a 4-4-2 system often last season, and Ernesto Valverde reverted to that formation today. Ousmane Dembele is injured, but Philippe Coutinho was available to play in an attacking trio. 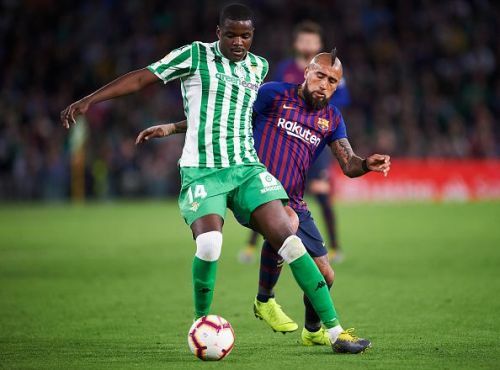 Valverde opted to bench him and included Arturo Vidal into the lineup. The extra man in midfield allowed Barca to absorb the Betis pressure, as they had more of the possession in the game. Messi and Suarez were enough up front, and it turned out to be an easy victory for the Catalans in the end. Coutinho has not really impressed recently, and that must have been one of the major reasons for the changed system. Dembele is expected to be out for a few weeks, which could prompt Valverde to persist with this system in the coming weeks.